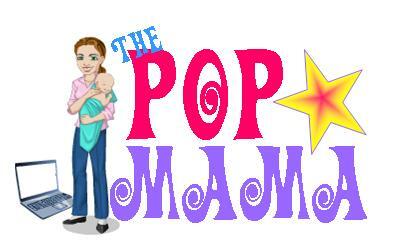 Pop Mama: One week later. This past week has been weird. I have been a combination of busy, introspective, serious, joyful and stressed. Besides being obsessed with childhood cancer for the last week, I have been working on business ideas for my consulting business, taking care of babies and cooking up a storm. I am putting the obsession with childhood cancer away for now because I had Henry's 9 month well check-up (remember word - "well") and I talked to my pediatrician (the amazing Dr. M.) about my fears. Her response was "that is my life." She is a mother of three boys and she got it...although it is rare and my anxiety about it may seem irrational and crazy to some, it is a valid fear that she herself had had. It made me feel better that I wasn't alone and made me feel even better when she explained what she looks for in children when examining them -- and that Henry was A.O.K. Exhale. In order to distract myself from the big "C," I watched some new fall television. I caught The New Normal last Tuesday and it is set to record tonight too. I don't know how I feel about it yet. I wanted to love it right away, but then when I was watching it, I started to pick it apart. The characters need some fine tuning, especially Ellen Barkin's racist grandmother character. She is such a great actress and was doing a great job, but the writing seemed a bit over the top at times (and I get that the show is supposed to be a bit over the top), but it felt like it was pushing it. Rein it in a little and be a little more subtle and perhaps the character can develop a bit more. I also watched the season premiere of my old favorite, Parenthood. Okay Parenthood, what are you doing with Ray Romano? What is going to be his function? Are you, along with what seems like millions of shows before you going to get rid of Jason Ritter and replace Lauren Graham's love interest on the show? I hope not, for Jason Ritter's sake...that poor guy cannot stay on a show for the life of him -- and I think he is a pretty good actor. And, although I love this show, I am kind of in disbelief as to the Julia and Joel adopting a 8 year old boy on the fly story line. It is freaky and poorly developed. It is making me mad because there is so much that goes into adoption and to think that the adoption agency showed up in the middle of night with an older child and made them make a decision on the spot is RIDICULOUS! My husband and I just roll our eyes whenever this story line comes on. Over it. In other news, I watched Kourtney Kardashian pull her daughter out and Bethenny's talk show got picked up! Yippee. I am counting down to Friday when I fly to Florida to meet up with some of cousins for a much needed girls weekend...I am looking forward to: the beach, wine, hors d'oeuvres, laughing (a lot), sleeping in, eating, wine, wine and warm weather! I must go back to cooking now, as my children and hubs are on their way home...more on my go-to and favorite recipes later.